Noel McGrath, Seamus Callanan and Patrick Maher all missed yesterday's league final. THE LEAGUE CLOSED again on a losing note in a final for Tipperary yesterday but manager Michael Ryan is hopeful that he will be playing with a stronger deck when their championship campaign swings around on 20 May. The list of forwards marked absent for Tipperary yesterday was notable. Seamus Callanan has been out of action since January with a back injury and Dan McCormack underwent knee surgery after the win over Waterford in early February. Noel McGrath, Patrick Maher and Niall O’Meara were also not part of the 26-man panel yesterday in Nowlan Park as they continue their fightback from injury. All five players were involved when Tipperary’s 2017 championship run ended at the hands of Galway last August. Ryan revealed they will all be back in action in a fortnight yet he is concerned with the club schedule facing his players after a prolonged league campaign. “We’d have them all back in two weeks. But today is today and we don’t have them available to us. “They’re making great progress and that’s the good news – that I’m able to sit here and tell you that. Having said that, we are getting into unprecedented territory with four weeks of club activity. “We’ll be very much on tenterhooks until we see how that pans out and what the toll on players might be. We won’t see them at all next week and we’ll see them twice every week after that. “I wouldn’t underestimate the effort that our players put into this national league. Today is the climax day. Two teams finished last week, four teams finished the week before. “We’re not the finished article. We certainly are not – I think we’ve proven that today. We need to see more of our missing players back on the pitch. Ryan was concerned about his team’s display from the early stages against Kilkenny but believes last year’s league final showing against Galway was a fair inferior performance. “It doesn’t get easier by the way, no we were well and truly beaten in that second half. We were in good shape for the first half. I wasn’t happy with how we were playing even at that. “I just felt we were within ourselves and we weren’t showing enough urgency to face what I knew was going to come which was a Kilkenny attack. They had all the intensity, we didn’t. “It’s nothing like last year, last year was a non turn up. This was a good contest, we were in the game and we stayed in the game. They got a four point head start straight after half-time and they finished with six. “But they were ruthless, they took a couple of great goals and that’s what they do. They capitalise on your weaknesses and they certainly did that today. Email “5 forwards set for Tipperary championship return in wake of league final loss”. 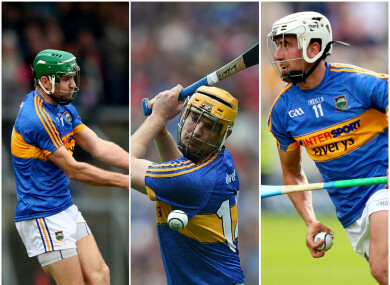 Feedback on “5 forwards set for Tipperary championship return in wake of league final loss”.